Sweet Pea & Verbena hand wash. 285ml. Sweet Pea & Verbena hand lotion. 285ml. 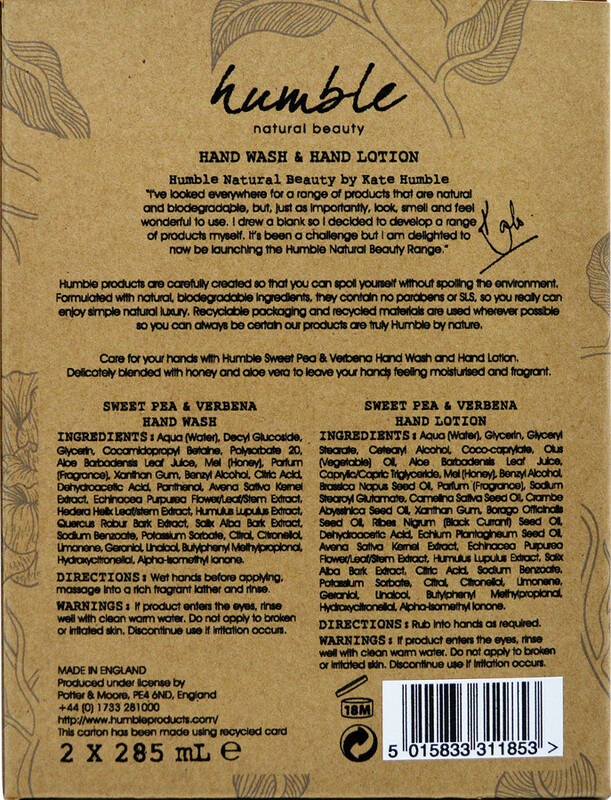 The Humble Handwash & Hand Lotion Gift Set product ethics are indicated below. To learn more about these product ethics and to see related products, follow the links below. 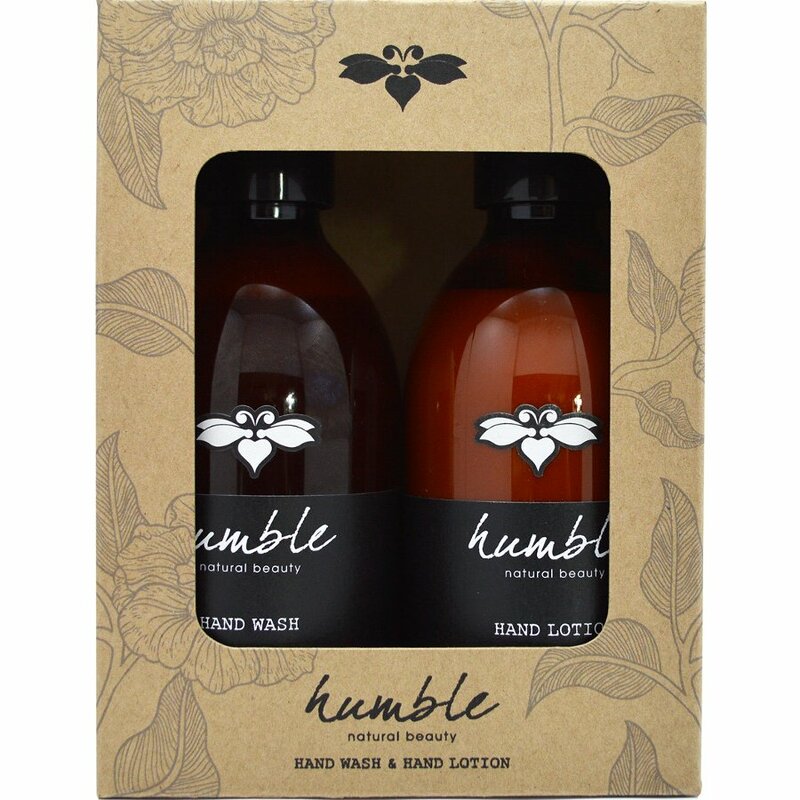 There are currently no questions to display about Humble Handwash & Hand Lotion Gift Set. The HUMBLE range of bath and beauty products are the brain child of Kate Humble, TV presenter and environmentalist. 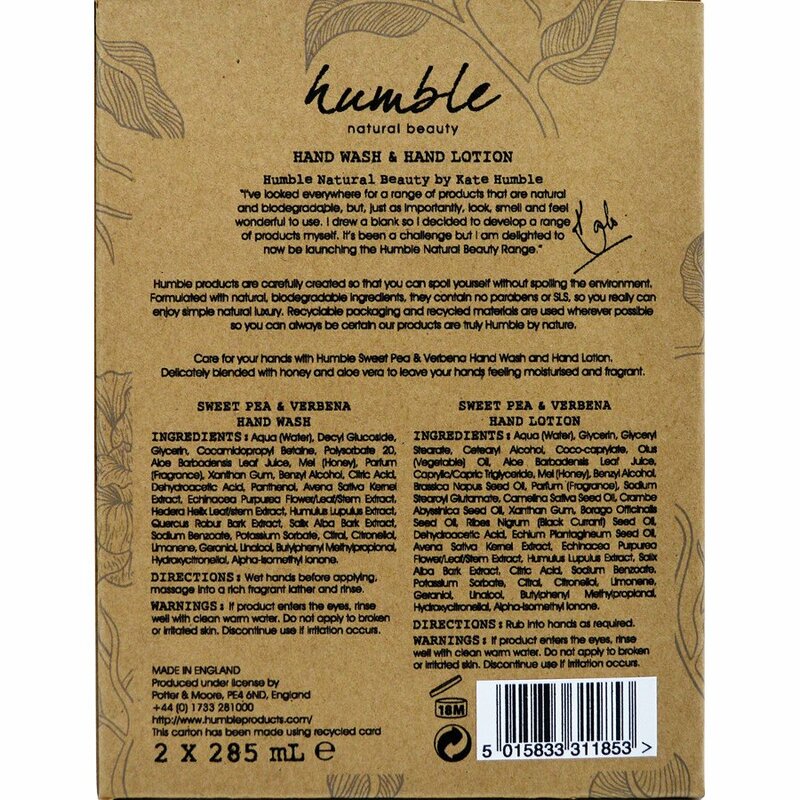 HUMBLE has sought to reduce the 'Beauty Miles' impact with its products and use British made and British grown, reducing the carbon footprint. Wonderful to use, safe for all the family, and also kind to the planet, their range also makes a lovely gift. 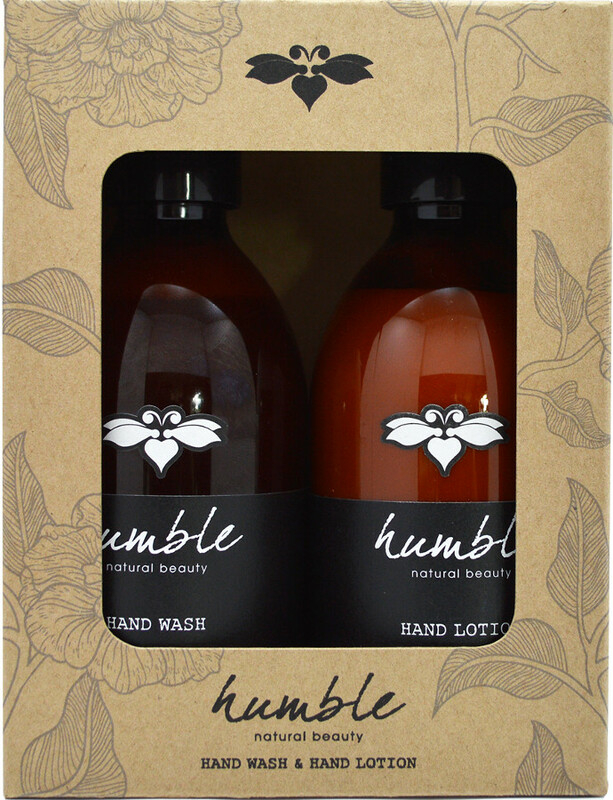 Humble products are carefully created so that you can spoil yourself (or others!) without spoiling the environment. They contain natural, biodegradable ingredients with no parabens or SLS, so you really can enjoy simple natural luxury. Recyclable packaging and recycled materials are used where possible so you can always be certain the products are truly Humble by nature. Their mantra is "Spoiling yourself doesn't mean we have to spoil the world".